Now, problems of this sort are dreadfully familiar to anyone trying to make even a meager portion of his or her income from writing; what is depressing about this is that it is happening with greater and greater frequency in publications concerned with film, and particularly in France, home of the world’s largest body of film freaks and, until rather recently, of the largest number of quality publications about movies. Several years ago, Seghers, a publisher whose series of books on particular directors has been imitated in many countries, stopped paying even a token fee to their authors, and more recently the company slowed its rhythm of publication almost to a standstill and stopped reprinting their older numbers. This was an omen, one which most writers and readers concerned with film in France chose to ignore. These days, the shoddiest overpriced little paperback is welcomed with joy, and bets are taken on which magazine will be the next to fold. Perhaps I exaggerate, but things are nonetheless getting grim. Magazines in France: remember them, like Cahiers and later Cinéthique and now (though I personally have little love for it) Ça? Well, things are happening, and the more they change, the more they get worse. Things, I mean, but also the magazines. There are two interrelated problems, economics and a curious situation which might best be called the politics of film readership. The economic angle is easy to explain: paper prices have spiraled, printing plants close from higher labor costs and diminishing returns, and discount pricing and large chain stores are knocking specialty bookshops, like those which cater to film buffs, out of business. Our publisher told Raymond Bellour that if his book were to be printed it would have to be marketed at about $40 a volume in paperback. (This is not a misprint; that’s forty, count ’em, forty dollars forty, two hundred francs.) We, the writers, got off relatively lucky with a partial payment, and the publisher got off very, very lucky. Imagine trying to sell that, no matter how interesting and dazzling the prose might have been. Of course the best way to deal with this sort of problem—in the short run, at any rate—is to increase readership, which is where things have run further amuck. But first, a parenthesis. Why is valuable magazine space (and paper, and labor to print the whole thing, and time and energy on everybody’s part) wasted here on what’s happening in such an obviously troubled country as France? Well, have you noticed the number of U.S. film publications which are never going above or below a certain (reduced from a few years back) number of pages? Are you getting eyestrain from the smaller type being used currently? Is the poorer quality of paper stock in several magazines beginning to get to you? And what is happening to general-interest—not to be confused with bland and lifeless—American publications about film? Well, read on. Readers and readership are, in fact, the problem in France and may well be crucial here in a few more years. 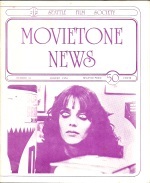 Examples: Cahiers du Cinéma has become an exclusively (and regrettably fuzzymindedly) Marxist-Leninist magazine, judging films strictly on the correctness, politically, of their content and structure, criticizing such ventures as semiology as fascist by sins both of omission and commission. In rebuttal, Ça has sprung forth from the collective head of its creators, a group of young students and critics highly influenced by the obscure but undeniably interesting Tel Quel. This means war, for Ça is getting the semioticians and a few culture snobs and Cahiers is getting politically committed film freaks and other politicized readers. Articles breed counter-articles, not only among these two but with Cinéthique (whose politics, even less well defined than that of Cahiers, is beyond my powers of description) and a few general-interest publications which regularly print articles on film, such as temps modernes. Meanwhile the journals hoping for a general readership, such as Cinema 74 and Ecran 74, are reduced to running practically nothing but glorified reviews, and even at that are having a hard time staying afloat. Positif, formerly an orthodox Marxist magazine, is fitfully trying to resume publication after a silence of almost two years, and Cinéthique seems to be sinking out of sight with an equally uneven rhythm. What is happening is that these publications and others are being run by smaller and smaller groups, more concerned in every issue with the consistency and particular “correctness” of each text printed. This was and still is the pattern of Positif, for many years dominated by a handful of good friends who wrote, frankly, interesting material. As an isolated phenomenon, it was rather admirable; as a general prototype it spells danger for writer and reader, especially if we figure in those soaring costs of production. To return to and continue my tale of woe, what, for example, will happen to the writers for Bellour’s anthology stuck with texts written for a particular destination? Without luck (or, thank God, some contacts in the American market) they will have some interesting material which no one will ever get to read, for what went well for this project will damn itself in the eyes of the highly specialized market in France. In short, the writer of texts about film is in a tight spot in the land of the New Wave, and the situation is getting no better. There seems for the moment to be no way out, for writer, reader, publisher in France. The few things which do appear will be higher priced, specialized in disturbingly stereotyped ways, and will pay nothing to their authors. Even if the readership is not and never has been as polarized as the power people think it is, their thinking makes it so. At this point we can all sit back and sigh with relief that we have for the moment a comparatively sensible—though not always terribly high quality—set of sources and inputs for published material about film, but the sort of bickering among Screen, Film Comment, and even Film Quarterly recently (about the auteur theory, whatever that is … it was something once but got lost under about five thousand useless pages of articles and counter-articles) bodes ill, in my opinion, for all concerned. Screen has taken to running editorials on what exactly an auteur is and why all those other people got it wrong. We may also expect, I imagine, some pretty specialized and more highly political film journals springing up in the future if France gives a hint of-the shape of things to come. As long as the price of paper doesn’t get too much out of hand and the magazines don’t become too cliquish to attract the necessary writers and readers, this won’t be a bad experience. People are getting clearer and more definite about what they think film is, and this doesn’t worry me so much as long as a huge amount of skepticism is included in the mix. And as long, of course, as it is possible to put together a magazine at all, or publish a book, without risking bankruptcy. Alan Williams, a charter member of the Seattle Film Society, is Paris Editor of Film Quarterly.